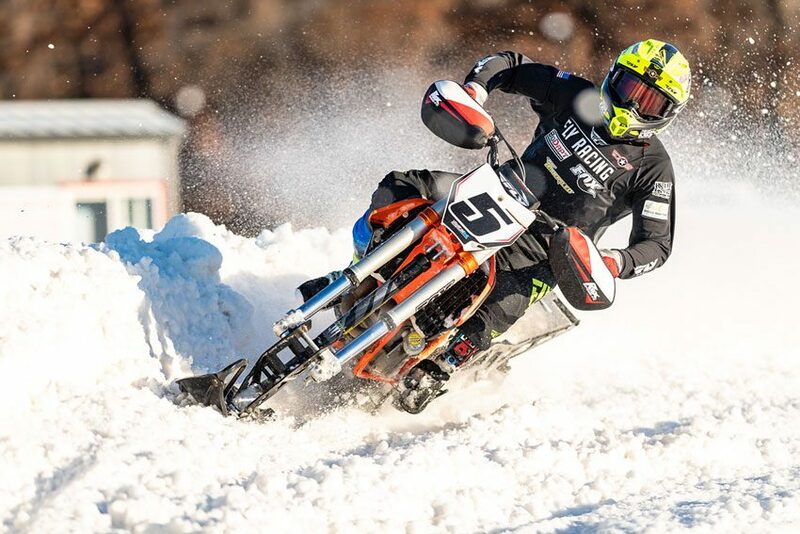 Known in the racing community as “Monster” Mike Schultz, the 37-year-old from Kimball has transformed the world of adaptive sports in more ways than one as he prepares for his 17th XGames in his fourth sport, Adaptive Snowbike. Schultz has earned eight XGames gold medals in the sports of Motocross and Snocross, and he will make two attempts at earning gold in Adaptive Snowbike and Special Olympics Unified Snowboarding this week in Aspen, Jan. 24-27. In addition to competing in Adaptive Snowbike, Schultz will also compete in Special Olympics Unified Snowboarding where Olympians are paired with a Special Olympics athlete. at Pyeongchang, Korea. Schultz provided 15 athletes from six different countries with his prosthetic equipment; 11 medals were earned by athletes wearing BioDapt equipment. Unified Snowboarding: Live XGames on YouTube, Facebook, and Twitter, Thursday, Jan. 24 at 12 p.m. Central Time. In 2008, Mike suffered a life-changing knee injury during a snowmobile competition resulting in the amputation of his left leg above the knee. Seven months later, Schultz was competing again and realized that the regular prosthetics couldn’t handle the competitive, rigorous sports his body at one time could handle. Mike not only engineered a durable and versatile mechanical knee which utilizes a patented linkage system and a FOX mountain bike shock, he realized the need for advancements in high impact adaptive sports prosthetics. Creating high impact adaptive sports prosthetics became BioDapt, Inc. – the company Schultz founded in 2010 to help wounded soldiers, action sports athletes and amputees wanting to return to an active lifestyle. The U.S. team voted Mike as the U.S. flag bearer for the 2018 Paralympic Opening Ceremony. In July, 2018, Schultz won the ESPY Award for Best Male with a Disability.